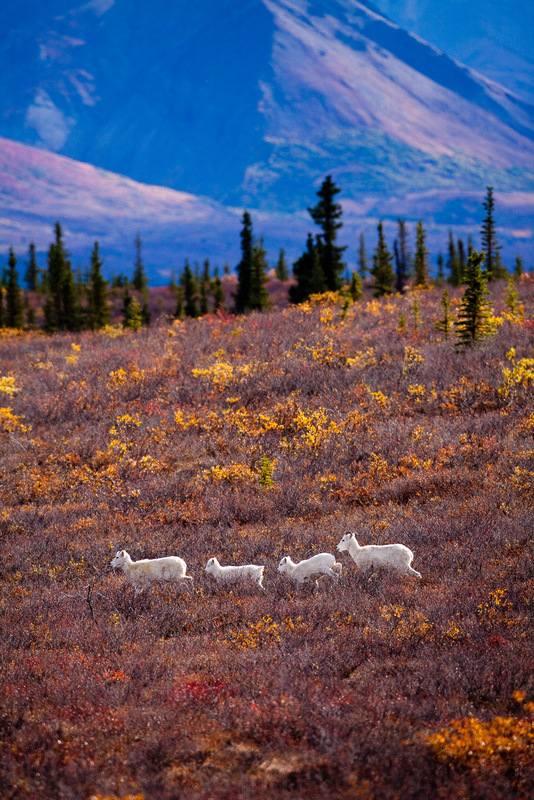 Dall sheep move quickly across the tundra. Not a natural area of safety they instinctively keep a quick pace while in the low lands. Photo © copyright by Lance B. Carter.